NastLaw is committed to providing the latest information on the Talcum Powder Lawsuit Status. Several hundred lawsuits have been filed and thousands more are being investigated for claims that talcum powder in several popular Johnson and Johnson (J&J) products causes ovarian cancer. We will provide ongoing updates on the Talcum Powder Lawsuit status, check back for the latest information. If you are looking for information on how to file a Talcum Powder lawsuit, please call us toll free at 1-888-532-4719, or use our online form for a free, no obligation consultation. On October 21, 2017, a California judge overturned a $417 million settlement awarded to Eva Echeverria, because the plaintiff relied on a testimony that did not prove a possible link between talcum powder and cancer. Echeverria’s attorney is planning to file an immediate appeal. Several weeks prior, a Missouri appellate court overturned a $72 million verdict that was settled in February 2016 in favor of Jacqueline Fox, an Alabama native. A three-judge panel found that the following case should never have been tried in St. Louis, as the plaintiff resided out of state. Over 4,800 separate cases are awaiting trials against J&J in courtrooms across the country. Several of these cases are based in the state of California, with Echeverria’s case been the first one to be brought to trial there. At NastLaw, we will continue to update the Talcum Powder Lawsuit status as the litigation advances. For more information about the two verdict overturns read this article by CNN. On August 21, 2017, a Los Angeles jury awarded Eva Echeverria a record $417 million after finding that Johnson & Johnson failed to properly warn its customers of the cancer risks associated with talc mineral in its baby powder. 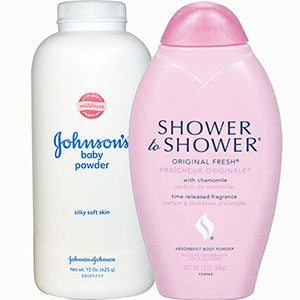 Echeverria used Johnson & Johnson’s talc containing baby powder daily for over 60 years. In 2007, she was diagnosed with ovarian cancer, and after learning about the potential link between talcum powder and ovarian cancer, she filed a lawsuit against Johnson & Johnson. She was awarded $70 million in compensatory damages and $347 million in punitive damages. Hundreds of other talcum powder lawsuits are awaiting trial in California, and across the country. At NastLaw, we will continue updating the Talcum Powder Lawsuit status as the litigation advances. For more information about this trial read this article by the ABC News. On July 10, 2017, a California judge dismissed Imerys Talc, J&J’s talc supplier, from an impending trial, stating Imerys cannot be sued for supplying an “inherently safe” ingredient. Eva Echeverria is the first plaintiff to head to trial out of the hundreds in the complex litigation consolidating California claims against the companies. The trial was set to begin on July 10th has been put off by the judge until the hearing on the remaining issues will be completed. In New Jersey, a trial court dismissed several similar lawsuits before they got to trial because the plaintiffs’ experts didn’t provide enough scientific proof of a talc-cancer link. On June 19, 2017, the sixth talcum powder trial began brought by three plaintiffs Shawn Blaes (Missouri resident), Angela Dawn Hershman (Virginia resident) and Eron Evans (Texas resident) who died of ovarian cancer after using J&J’s talc-containing products. On the same day, in a case involving the blood thinner Plavix (Bristol-Myers Squibb Co. v. Superior Court of California), the Supreme Court ruled that non-California residents couldn’t join a California state court mass action against the drug maker. Under such circumstances, J&J argued that plaintiffs who reside outside of Missouri should not be allowed to bring claims in under the Bristol-Myers ruling. The Missouri Judge Rex Burlison in the sixth trial against Johnson & Johnson declared a mistrial. The next talc trial is slated to start on July 10 in California state court. It will be the first in a coordinated proceeding involving hundreds of plaintiffs. Lois Slemp, of Virginia, had filed a lawsuit against J&J alleging she developed ovarian cancer in 2012 after using the company’s Baby Powder and Shower to Shower products daily for 40 years. On May 4, 2017, a Missouri jury awarded $66 million from J&J, $39 million from J&J Consumer and $50,000 from Imerys, J&J talc supplier, in punitive damages. The jury also awarded Slemp $5.4 million in compensatory damages and ascribed 99 percent of the fault to the two J&J entities and 1 percent of the fault to co-defendant Imerys. Further St. Louis talc trials are set for June and July. The first California trial is set for July. For more information about this trial read this article by the Los Angeles Times. Nora Daniels, who claimed Johnson & Johnson’s talcum powder caused her 2013 ovarian cancer after 38 years of use of its talcum powder products, had lost the trial. A Missouri jury found in favor of Johnson & Johnson and Imerys Talc America, its talc supplier, in this trial, a first J&J’s victory in the litigation. The next talc trial is set to begin in April 2017. Deborah Giannecchini of Modesto, California had used Johnson & Johnson Baby Powder for over 40 years before she was diagnosed with stage 4 ovarian cancer. After doctors discovered talc in her ovaries, she filed a lawsuit against Johnson & Johnson. In October 2016, a St. Louis jury awarded $67.5 million in punitive damages and over $2.5 million in compensatory damages to Giannecchini. For more information about this trial read this article by USA TODAY. Gloria Ristesund, from South Dakota, has filed a lawsuit against Johnson & Johnson, after she was diagnosed with ovarian cancer after decades of use of the company’s talc-containing products. In may 2016, Missouri state court awarded Ristesund with $5 million in compensatory damages and $50 million in punitive damages. Her cancer is now in remission. For more information about this trial read this article by Reuters. In February, a jury in St. Louis awarded $72 million to the relatives of Jacqueline Fox, an Alabama native, who died of ovarian cancer after over 35 years of using Johnson & Johnson talc products. Damages awarded in the case were $10 million for medical expenses and $62 million in punitive damages. This was the first case to result in monetary damages against Johnson and Johnson, but thousands of cases are waiting to be filed and many women are just now learning of potential risk of ovarian cancer from talcum powder. For more information about this trial read this article by CNN. The first case filed against Johnson and Johnson was Berg v. Johnson and Johnson. In this case, cancerous tissues were removed from her body and analyzed by three separate doctors. In each analysis, particles of talc were found embedded in the tissue in her ovaries, leading to the conclusion that the talcum powder caused the cancer. The judge concluded that Johnson and Johnson was negligent for not warning consumers about the potential risks, but did not award Berg compensatory or punitive damages. For more information about this trial read this article by The New York Times. For more information, visit our website section on Talcum Powder Lawsuits.